"They have no courtesy whatsoever." It's a question that can start an instant argument among motorists in the region: Who are D.C.'s worst drivers? The numbers are in. WTOP TALKBACK: So who do you think are the worst drivers? And why? Call the WTOP Talkback Line at 1-877-222-1035. Post a comment in this story, comment on WTOP’s Facebook Page or use #WTOP on Twitter. WASHINGTON — It’s a question that can start an instant argument among motorists in the region: Who are D.C.’s worst drivers? Some would say it’s the drivers in the District itself; others say motorists from Maryland. Still more would nominate Virginians as the worst terrors behind the wheel. AAA Mid-Atlantic announced on Tuesday the results of a Howard University study of the 29,725 crashes in the District in 2012. The research shows that the District’s drivers narrowly edge out Marylanders for the dubious honor of motorists involved in the most accidents in D.C., 37 percent to 33.1 percent. 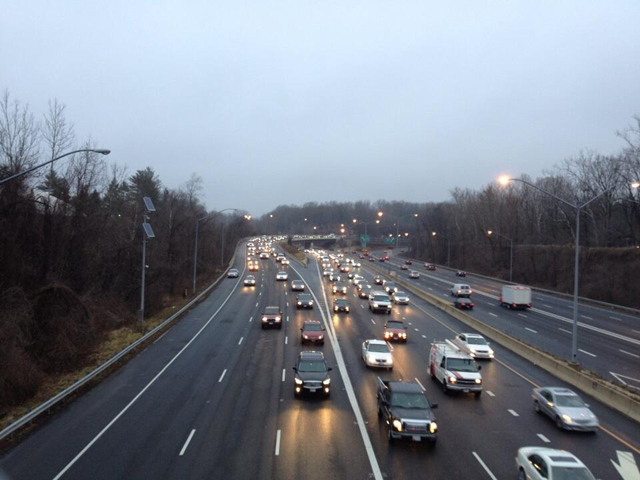 Virginia motorists were involved in the fewest District accidents, with 13.8 percent. The remainder came from other states or was unknown. The study included numbers from 2010 and 2011, which showed the numbers staying fairly consistent, though Maryland was slightly ahead of the District in 2011. John B. Townsend, of AAA Mid-Atlantic, says that the numbers are particularly striking given that nearly three-quarters of the District’s workforce comes from outside the city. He adds in a statement that the high rate of accidents leads to an average annual car-insurance premium of $1,800, the highest in the region. And all of these crashes have an economic effect: “The estimated economic and societal impact of motor vehicle crashes in the city was just shy of $1 billion in 2010 or $1,659 per capita,” Townsend says. The survey also found that men got into nearly two-thirds of accidents in the District in 2012. *Source: DDOT and Transportation Safety Data Center at Howard University. **Total does not equal 100 percent due to rounding.